Singapore is one of the best hubs in Asia for shopping. It has great malls, shopping stores allowing budget shopping with a wider choice for the shoppers. It is one of the favourite places of all the shopaholics. When it comes to shopping, every shopaholic wishes to have unlimited money. However, the dream remains a dream. But what if you could do budget shopping and buy more with a limited amount. Planning to shop in Singapore? Let us discuss some of the top places to buy that too within budget. The mall will surely give you a fantastic shopping experience. It is one of the most famous places for shopping. When it comes to budget shopping, one can expect products available at very cheap rates. Everything from fashion products, t-shirts, fashion clothes to high-quality jewelry, decorative items is available. One can expect unique and useful items available here. Bugis Street is one of the biggest and the busiest street in Singapore. It is a street market not just in Singapore but also in the South East region of Asia. You will inevitably fall in love with the stalls on these streets. Being one of the famous places for shopping, these streets are always found to be busy and crowded. One can do an awesome budget shopping here. Get trendy clothes, gift items for your friends and family and a lot more. These streets are not just famous for shopping but also its fantastic food. One can find delicious street food stalls here. You just need $3 to $15 for anything you want to buy for yourself. Cool, isn’t it? Bugis Street is accessible via the following roads: Queen Street, Victoria Street, Rochor Road and Cheng Yan Place. Alight at Bugis station (EW12) on the East-West line, get out at Exit C and follow the crowd across the traffic junction on the right. If you believe that flea markets are only involved in selling old clothes and the ones in Singapore are no different, then you are wrong. The flea markets in Singapore are very different. One can find excellent clothing stuff like coats, jackets, designer stuff, etc. One can get a huge stock in at a budget rate. So for all the shopaholics looking to buy more at lesser rates, these markets would be best suited for you. One can get these trendy garments at a very low price. Lucky Plaza has been one of the oldest shopping malls in Singapore. The mall has hundreds of stores offering you a variety of products. Locals are the frequent customers here. However, tourists must visit the mall once. 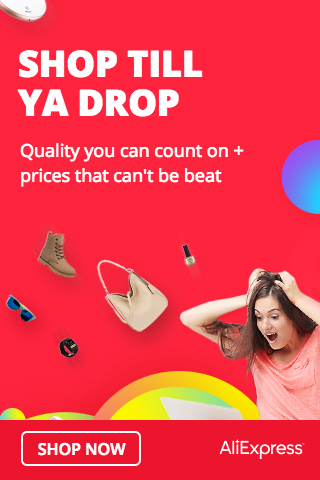 Get things at very cheap rates such as electronic items, luggage items, watches, perfumes, accessories, fashion products, etc. Things are available as cheap as $2 that go up to $10. So, you can have a lot more you might have thought while shopping in Singapore. The mall even has cheap stalls where you might have an exceptional shopping experience. Just 5 mins walk from Lucky Plaza, this is yet another great place for shoppers to shop. From clothes to jewelry and spas, you will get all kind of sellers within budget at Far East Plaza. So one can get all sort of things at one place with a wide variety of choice. Being one of the budget friendly places, it has been one of the favourites for students and blog shoppers too. Our advice – Take a look at this directory – http://www.fareastplaza.com.sg/directory.php?dir=1 before you venture into this shopping mall. Shocked by seeing the name? Yes, it’s called as Thieves market. It is called so because of its origin as the market was started by people stealing goods and selling it here. However, now you can get excellent and cheap products and shopping goods for yourself, friends and family. The products available here include electronic products, used products, old coins and a lot more. As the name also suggests about its location, the market is located at the Sungei Road. This market will again enable you to shop for goods that just range about $2 to $10. So if you are out of budget, shop here and get all that was to be bought. According to The Straits Times report, the site will be making way for future residential developments. 7. Mustafa shopping center – 24 hours! Now this shopping place has got something even more exciting. Looking for a late night shopping place in Singapore? Then Mustafa Shopping Center is one of the best options. This place is open 24*7 for you to visit and shop within your budgets. The center also provides currency exchange services making it convenient for the tourists to buy. These services are known to be one of the best exchange services in the country. Products ranging from daily essentials, food to other fashion and cosmetic products are available. You won’t get Indian and Pakistani food elsewhere as they have. For shoppers – Click HERE to access this awesome article by Honey Combers. Daiso is Japanese based store. It is a retail chain having 13 stores in Singapore. You can get numerous and diversified products in the Daiso stores. They have products ranging from kitchen requirements, interiors, to fashion and decor. The place is known to be highly economical which is why most of the purchasers prefer it in Singapore. So now you know how to shop within your budget along with places to visit and have fun. These are the top 10 shopping places in Singapore when it comes to budget shopping. Here you won’t miss anything and have really great experiences. So visit these recommended places and enjoy shopping. If you have more pennies to spare, you can visit the other malls in this video.